Lawmakers and victims are pleading for help from Washington as a fund for 9/11 survivors is set to reduce compensation for victims. Ray Villeda reports. More than 17 years after the 9/11 attacks, first responders and their advocates were back at the Capitol Monday urging Congress to ensure that a victims' compensation fund does not run out of money. Members of the New York delegation, joined by first responders, survivors and family members, lamented an announcement by the Justice Department that the September 11th Victim Compensation Fund (VCF) is running low on money and future payments may be cut by up to 70 percent. 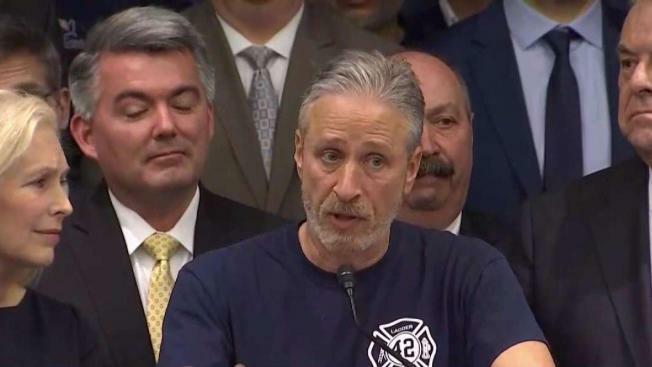 Comedian Jon Stewart, a longtime advocate for 9/11 responders, called the Feb. 15 announcement by the fund's special master "unconscionable" and said Congress has a moral obligation to step in and pass permanent funding. At a news conference at the Capitol, Stewart said it was "nonsense" that first responders and their families again have to "beg" Congress for money nearly 18 years after the attacks. The compensation fund for victims of 9/11 is running out of money and will cut future payments by 50 to 70 percent, officials announced Friday. Ray Villeda reports. "This is nonsense. This is theater. You know it and I know it," Stewart said. "If the American people in their busy lives had any sense that these shenanigans were going on, they would be outraged." He and other speakers urged Congress to act quickly to restore the fund and ensure it has enough money to pay benefits for the next 70 years — or as long as victims need it. The legislation, known as the Never Forget the Heroes act, was introduced Monday by Rep. Carolyn Maloney, D-N.Y, and will permanently fund VCF if passed. Anything less than full and permanent funding is "shameful," said Sen. Kirsten Gillibrand, D-N.Y., adding the death toll from the 2001 attacks "is still growing." "It should not be a fight to pass this bill again," Gillibrand said. The collapse of the trade center in September 2001 sent a cloud of thick dust billowing over Lower Manhattan. Fires burned for weeks. Thousands of construction workers, police officers, firefighters and others spent time working in the soot, often without proper respiratory protection. In the years since, many have seen their health decline, some with respiratory or digestive-system ailments that appeared almost immediately, others with illnesses that developed as they aged, including cancer. 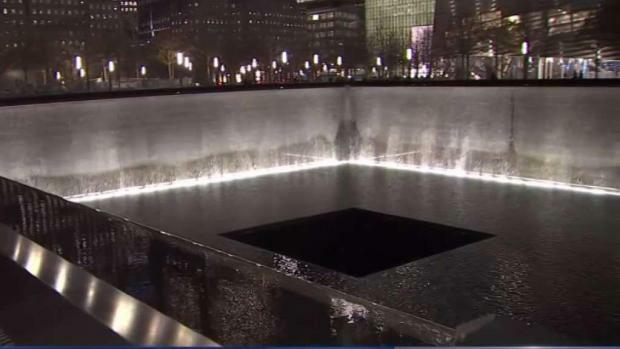 Nearly 40,000 people have applied to the federal fund for people with illnesses potentially related to being at the World Trade Center site, the Pentagon or Shanksville, Pennsylvania, after the 2001 attacks. Nearly $5 billion in benefits have been awarded to more than 20,000 survivors out of the $7.3 billion fund. Stewart praised the Trump Justice Department for doing an "excellent" job administrating the program, noting that claims are being processed faster "and the awards are coming through." But with 19,000 claims pending and the fund running out of money, he noted that now Congress needs to fund it properly. "It’s ironic. First responders pride themselves on response time. It’s the thing that they work on day in and day out, so that the people and the communities that they serve are well served," the former "Daily Show" host told NBC News' Andrea Mitchell. "Yet each and every time when they have a need, our response is inadequate, slow and apathetic." Rupa Bhattacharyya, special master of the September 11th Victim Compensation Fund, said she was "painfully aware of the inequity" of the potential cuts, but said awarding some funds for every valid claim would be preferable to sending some legitimate claimants away empty-handed. Fund officials estimate it would take another $5 billion to pay pending claims and claims that officials anticipate will be submitted before the fund's December 2020 deadline. Rep. Jerrold Nadler, D-N.Y., said the cost of restoring the program is minimal compared to the cruelty of failing to do so. "A great nation cannot nickel-and-dime people that have sacrificed their health on our behalf," he said. Sen. Cory Gardner, R-Colo., said the 9/11 attacks "were not just a New York event" or an East Coast event, but were an attack on all Americans. "This is a sea-to-shining-sea moment, a sea-to-shining sea promise, a sea-to-shining-sea obligation," Gardner said. The victims' fund should "not be extended for a moment but for a lifetime," he added. Stewart, reverting to comic form, said the victims' fund was "like a Starbucks card. We're just asking to get a little more money."